What is Wrong With Me - Can it Really Be Fibromyalgia? 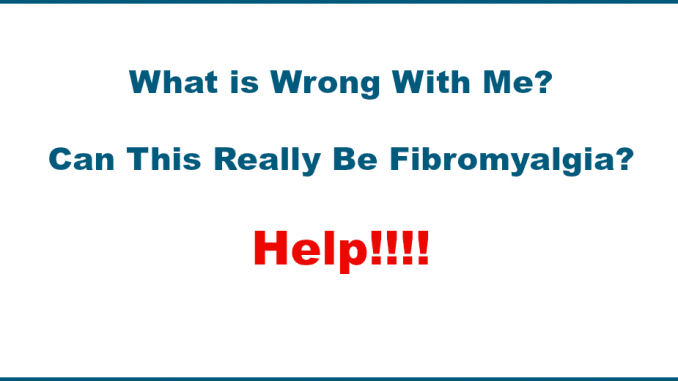 HomeLifestyleWhat is Wrong With Me – Can it Really Be Fibromyalgia? Here’s a turn up for the books… I think I’m going crazy! I touched on my health problems in Goodbye and Good Riddance 2016 but I wasn’t expecting what happened next. Since Christmas I’ve been ill, I’ve had so many symptoms, ailments, aches, pains, moments of absence and unexplained mood swings I genuinely feel like I’m going mad. Let me wind the clock back, for months I’ve had pains in my back, shoulders and arms. To explain these pains I’ve blamed the car seat, my pillows, the couch, age and pushing Bridget’s wheelchair. Whilst all of the above could explain my aches and pains they were only part of the story. I also noticed I had what can only be described as moments of absence. For no apparent reason, I would lose concentration, forget simple things, struggle to recall information that would usually roll off my tongue and have mood swings which although I’m highly strung were still out of character. The physical ailments were annoying, the mental health anomalies I put down to getting older, but together they were making me feel miserable and generally useless. That said, I pushed through. Too many people rely on me, I had made commitments I had to fulfil and rightly or wrongly my first line of defence was to ignore the way I was feeling and hope that they’d go away. Fast forward to Christmas 2016, a Christmas which simply passed me by. I really didn’t have my head or body in the game. Whilst everyone around me was celebrating and enjoying the company of family and friends I was avoiding frivolities as much as I could, consuming silly amounts of paracetamol and finding every excuse I could to go to bed. At the beginning of January, I started getting a constant achy pain in my arms and regular pain in my chest. My breathing was shallow, I felt like I had a band around my chest and although difficult to explain I felt like I had pain in my internal organs. These pains were not excruciating, but enough for me to notice and be concerned. I’ve had indigestion and sporadic pains in my chest as far back as I can remember. I’m asthmatic, I’m used to my breathing being shallow and I know exertion or stress can make me feel this way but this felt different, it felt like there was something else going on, something I needed to investigate. Eventually and at Bridget’s insistence, I made an appointment with the GP. To my mind, I had Pleurisy (I’ve had it before), but the GP had a different opinion. Yes, she gave me my staple diet of antibiotics and steroids but then she gave me a spray and proceeded to tell me she thought I have Angina! Like an idiot, I asked what caused Angina and she said I think you have “significant heart disease”. Also, like you do when you’re in shock I laughed. In fact, I may have even said don’t be silly but she was adamant and started explaining what Angina is, what causes it and what the potential dangers are if left untreated. The GP then said, “don’t get stressed”… Erm… I’m not being funny, I’d just been told I had “significant heart disease” stress was inevitable. My initial thoughts were, forget me, who’d look after Bridget and the kids if I can’t, what about The Bimblers, what about the future, what kind of future have I got, how long is my future? You get the gist… stress was unavoidable. Once I’d calmed down and gathered my thoughts, I agreed to attend the hospital the same day for a chest Xray and an ECG. Thankfully, the X-Ray came back clear but the ECG was a cause for concern. The nurse who did the ECG frantically tried to find a Cardiologist to look at it but was unsuccessful. She advised me to go straight down to A&E and explained they’d probably keep me in but not why? Remember “don’t get stressed”… Yeah right! Now, in my opinion, both the GP and nurse were overreacting. Yes, I had pains in my arms and chest, but I wasn’t exactly keeling over, I was uncomfortable but not dying. I explained this to the nurse and she eventually agreed that she’d find a Doctor to look at the ECG and fax the results to my GP as matter of urgency. As I had an appointment with my GP in two days time this seemed sensible and after making me sign a piece of paper to say I had been advised to attend A&E but refused she allowed me to go home. Two days later I was back at the GP. She said the ECG had suggested I had a left ventricular blockage, she confirmed Angina, gave me extra medication and made an urgent referral to a Cardiologist. 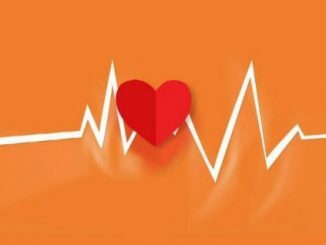 Update: I Have Been Diagnosed with Heart Failure, Am I Going to Die? Okay, so this was a bit of a rollercoaster but only half of the story… thankfully if there is a problem with my auld ticker the ECG has picked it up and we’ll get to the bottom of it. But, even with Angina medication, I still had pains, aches and burning sensations in the muscles in my arms, chest, neck, shoulders, hips, upper and lower legs and was physically and emotionally drained. I was also having what I would describe as unexplained moments of vacancy. What I mean by vacancy is getting muddled or simply forgetting how to do simple things like making a cup of tea. It seems ridiculous saying it out loud but I found myself looking at the cup and wondering what to do next? Rather than sounding like a hypochondriac I decided to write all these ailments down as they happened. Over the course of a week, the list was getting stupidly long so I returned to see my GP. Oh, and You’ve Probably Got Fibromyalgia! I was half expecting her to laugh at me and tell me to get a grip but she didn’t, instead, she said: “I think you could have Fibromyalgia”. After a brief introduction to Fibromyalgia, she gave me medication, insisted I rest and told me not to get stressed, in fact, she ordered me to take it easy and avoid any stressful situations. Here’s that stress thing again, there is a common theme here…. Then she said she was referring me to a Rheumatologist, ironically the Rheumatologist we have been visiting for the last 20 years with Bridget’s Rheumatoid Arthritis. That’ll be an interesting appointment…. 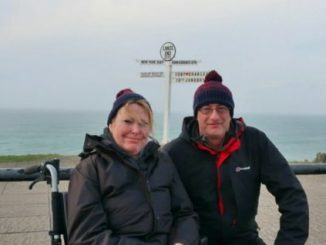 Whilst all of this is going on I’m freaking out about my caring responsibilities, my family commitments and of course, the work I need to do here on The Bimblers and with my fellow accessible tourism bloggers. Not so long ago I was a reasonably fit, productive and focused 50-year-old man. What seems like overnight, I have become a lethargic, miserable, fatigued, moaning and physically unable old man. I know my problems are nothing in comparison to others (Bridget) but it does not alter the fact that I can’t get my head around where I’m at right now. I am sure, whatever the outcome of these tests, appointments etc… I’ll survive, but I would like to hear your experiences of Fibromyalgia? I’m wondering, not that I don’t trust my GP, but does this really sound like Fibromyalgia? If it does, how have you found the treatment, does it work? Have you got any tips for dealing with Fibromyalgia, I’m not looking for magic potions or miracle cures. I’m looking for practical advice from people who have first-hand experience of living with Fibromyalgia, what blogs do you read, where do you go for useful information? Please let me know your experiences in the comments section below. Sorry to hear about this Rob! I hope you get some answers when you see the Rheumatologist and hopefully you don’t have to wait too long! This might be a silly suggestion, but have you joined Fibromyalgia groups on Facebook? There may be some good support groups that can give you good advice. I’ve heard of the condition, but don’t know much about it or anyone else who has it. Take care! The problem is, there are too many miracle cures and potions being peddled so I think I’ll wait for the Rheumatologist to advice me. Hi, sorry to hear about your recent and new medical symptoms. Don’t you love it when medical professionals say what they think you might have when they don’t yet have a diagnosis! (NOT) This happened to me many times before I had a correct diagnosis. I went to neurologists because they said it was MS and had many MRI’s but was finally diagnosed by a rheumatologist with a muscle disorder. The problem was I had a myriad of symptoms, quite similar to yours actually, pains, aches and burning sensations in the muscles in my arms, neck, shoulders, hips, upper and lower legs, fatigue, forgetfulness, etc etc There are many conditions that have these symptoms especially autoimmune ones. Good luck. I was also told I had Fibromyalgia (which I do have ) as a diagnosis. It can often be what is said when they don’t know what you really have. I may not have been much help but wanted to tell you my story. I do appreciate your great website. Yes, I agree wholeheartedly… I have sort of accepted the GP diagnosis as fact because the symptoms fit the brief. Hopefully, the Rheumatologist will confirm or at least explain what’s causing these problems. If this is Fibromyalgia, I certainly underestimated the severity of the condition, I’m used to Rheumatoid Arthritis with Bridget and have ruled that out due to lack of morning stiffness but who knows what the outcome will be. Ironically, the pains, aches etc.. have taken my mind of my apparent heart problems, in fact, I’m even doubting that because this other condition could be the culprit although the ECG seemed to suggest otherwise. Lee, I really appreciate you visiting the blog and your kind words. Thanks for the information about wheelchair and power wheels, and explaining the lite wheelchair, its helped great deal. First of all I am extremely sorry to hear you may have FM-fibromyalgia and there is also Differential diagnosis‎: ‎Polymyalgia rheumatica‎, . Fibromyalgia has many symptoms that tend to vary from person to person. Hiya rob and Bridget, sorry to hear youve been having these awful pains. I was diagnosed with fibromyalgia about five years ago. at first my gp thought it was vitamin d deficiency, and I was given injections. My arms and legs were aching and I was incredibly exhausted. The injections didn’t do any good, so I went back to my gp. She then thought it might be fibromyalgia, and I went to see a rheumatologist. After he did some examinations he confirmed my fears. I expected him to prescribe medication, but he didn’t. I’d been trying paracetamol and ibuprofen to no avail, so I persevered in getting the Tramadol, and it wasn’t an overnight success but they do help, they take the edge off the pain, to a point where I can cope with it, I’m on 100mg a day, but I can increase it if I need to, which I have done.